WHO IS CLUMP POINT BEING DEVELOPED FOR? Transport the rocks by barge!! for the duration of the works. Construction is expected to take at least 9 months which could extend to 12 up to 18 months. The size and volume of rocks needed to build a rock wall that will support a road for fuel tankers and extend out into deep water will be significant. Some will be one rock per truck and there will be one truck every 25 minutes travelling to and from Mission Beach through out townships. It’s not known where the rocks will be transported from at this stage but it has been suggested by a contractor familiar with the type of work, there is nowhere locally they could be sourced. The objectives are impossible to achieve. In part of the document it suggests the transport must avoid roads that have known cassowary crossings. 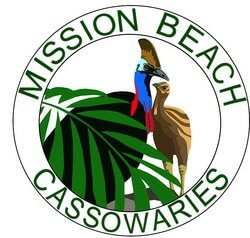 Cassowaries cross all roads at Mission Beach. The significant impact posed to our community, businesses and the environment carting the rocks by road can be avoided by barge transport. This would minimise the disruption at the boat ramp, avoid the impact on our local community and businesses and on the cassowary. There is no reason why sea transport should not be used. The cost to the community far outweighs the cost difference between road or sea transport. The community’s welfare must come first. For 30 years Boat Bay has been under pressure from developers wanting to build a marina. Community objection and legislation protected the high environmental and cultural values of the bay and headland from large scale development. Post Cyclone Yasi the marina supporters and vested interests used the natural disaster to increase their pressure on governments for a marina facility in Boat Bay. Going back just a little, during Anna Bligh’s government, when the detailed Regional Coastal Management Plans were replaced with the Qld Coastal Plan ‘Areas of State Significance’ with the trigger of ‘No Adverse Impact’ that had protected Boat Bay from inappropriate development were removed. The then minister for Environment Kate Jones assured the conservation sector, who had extensive consultation with the government during the development of the Plan, that the new Plan would not reduce environmental protection. As you may remember the draft plan was released with a Marine Development Area (MDA) placed over the Boat Bay reserve. 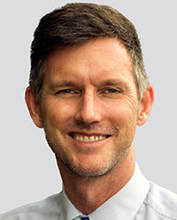 This was removed when the Plan was released but a document was produced with a methodology to determine where MDA’s could be established along the whole coast which was to be tested to determine if, and where, MDA’s could be placed within the Cassowary Coast. We may never know, but we have little doubt the methodology would have allowed an MDA in Boat Bay. In 2011, Cyclone Yasi intervened and while political focus was on Mission Beach, vested interests, using Bob Katter’s balance of power, forced the first big foot in the door to Boat Bay development extracting a $5.5m grant from Wayne Swan for a marine facility scoping study. From that point there was no stopping the direction any upgrade of the jetty or boat ramp at Clump Point would go. ​The upgrade of the Jetty and the recreational boat ramp became a Major Project. What no one except the tourism industry was aware of during the extensive consultation conservation groups were having with the Queensland Government on the Coastal Plan, was in 2010, the tourism industry had developed a wish list of 18 priority projects for the tropical north called the Tourism Opportunity Plan (the TOP). On the list was - • Clump Point Safe Boat Haven. Nothing will change the fact that for this large scale development to proceed it required legislation changes to remove environmental protection over Boat Bay. But this and declaring the development a Major Project still wasn’t enough to get it over the line. It took collusion between government departments and coercion and manipulation of the truth during a dodgy reference group process which was said satisfied the ’scoping study’ requirements of the $5.5m initial grant and public consultation. The Reference Group were not alerted to opportunities for public to make comment during the process such as on the referral under EPBC Act which was full of omissions and inaccuracies. The Palaszczuk government has taken full advantage of the Newman government’s legislation changes to reduce environmental protection. What started out as an upgrade to recreational boating facilities has resulted in a large scale port/marina development at the end of Clump Point. The approved development will consist of a 140 metre rock wall extended out into the open lee shore of a cyclone exposed coast. The half finished Perry Harvey Jetty has been abandoned with a council directive it is not to be used by any marine operators. ​Not one of the marine tourism operators were consulted during the process. TMR has provided a list of alternative ramp access locations in the Cassowary Coast, none of which are suitable for the marine operators that currently rely on the Clump Point Boat Ramp to conduct their businesses.